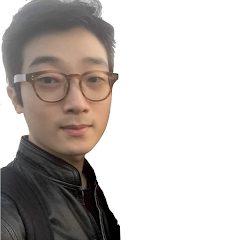 Hello, I'm h2spice working at the LINE Corporation As a security engineer. This is write-up for SECCON2016 Online CTF-Binary / Crypto500 Obfuscated AES. This year, unlike last year, I focused on several Mitigation Techniques as software protection method, rather than focusing on exploitation for vulnerabilities in service. 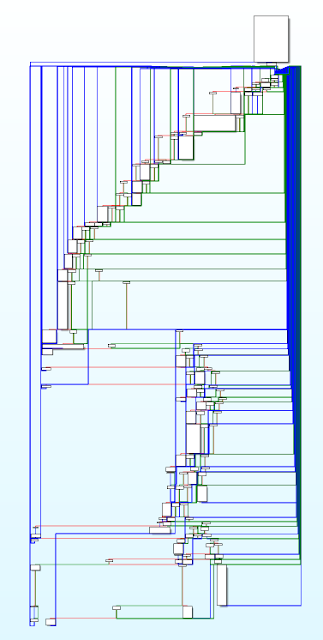 I implemented a white-box AES and applied LLVM obfuscation. I personally expected to be solved in a variety of ways, but only one team got the flag unlike what I expected. If there was more time, I think all the players could get the flag. You can download the APK from the link below. Please feel free to contact me if you have any questions. My write-up is genuinely targeting Chow et al. 's white-box AES scheme. OAES is a simple Android Application that prints an encrypted Flag. You can get the Flag by finding the hidden secretKey in the application and decrypting the encryptedFlag. 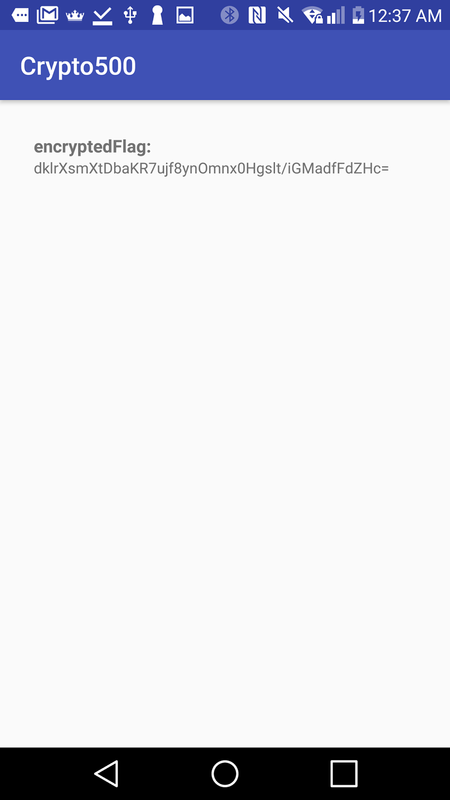 You can get the following code by decompiling .apk. The execution flow is as follows. There is value that generated between 0 and 3600 and it is used as the index. 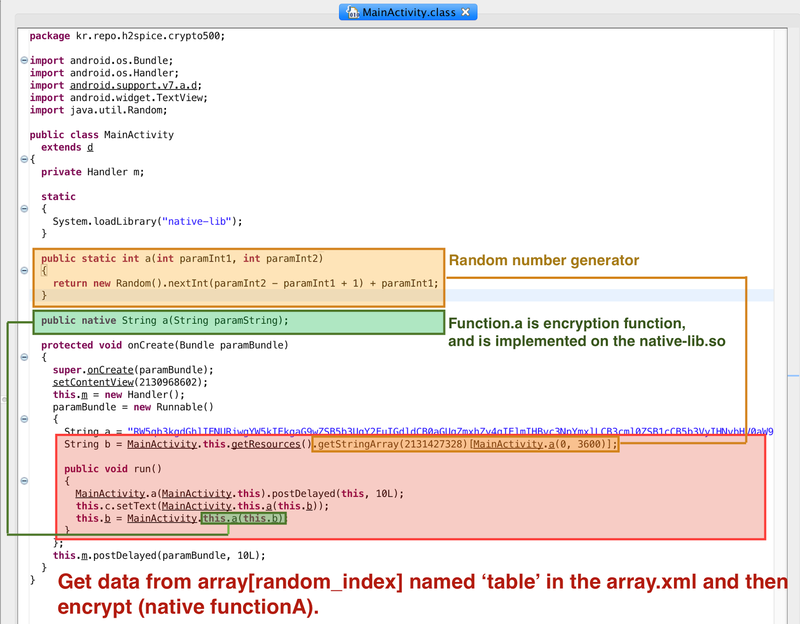 The value of table[index] defined in array.xml is stored in encryptedFlag. The encryptedFlag(item) defined in array.xml is ciphertext that encrypted N(index+1)times with the same secretKey. 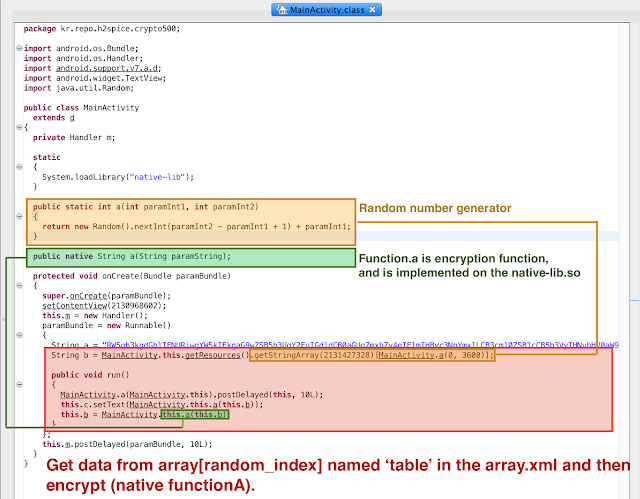 EncryptedFlag is encrypted in the function.a (encryption function) of native-lib.so. Pseudo code (IDA Hex-Rays Decompiler) in Native Function.a is shown below. The data (base64 encoded) received from Java is base64 decoded. Encrypt per one block(16bytes) at a time. Encrypted data (32bytes) is base64 encoded. You need to analyze the encryption function (TfcqPqf1lNhu0DC2qGsAAeML0SEmOBYX4jpYUnyT8qYWIlEq) and find the secret-key used for encryption. 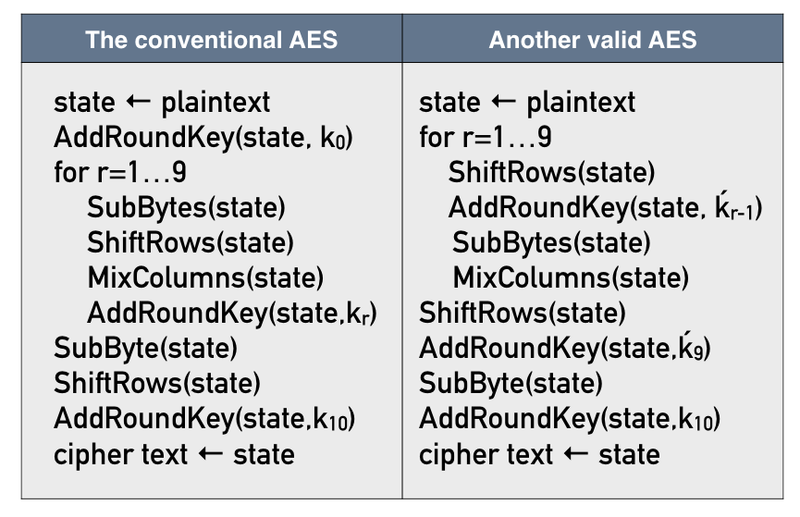 Theoretically, I will briefly explain the white-box AES implemented in OAES. 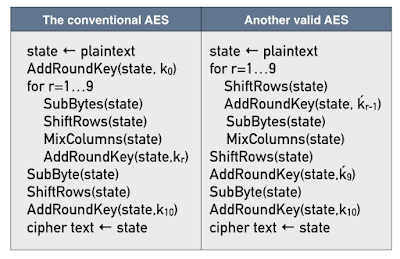 Of course, there are many ways to solve without the knowledge of the white-box AES. Conventional AES Scheme can be transformed into the following form. Each round operation can be composed as a pre-computed LUT and plaintext can be encrypted based on T-boxes. T-boxes are created with the following formula. In other words, T-box of Round1 can be created as follows. The encryption process using T-boxes is as follows. MixColumns in each Round can also be composed with four pre-computed LUTs (M0, M1, M2, M3) and can be combined with T-boxes. 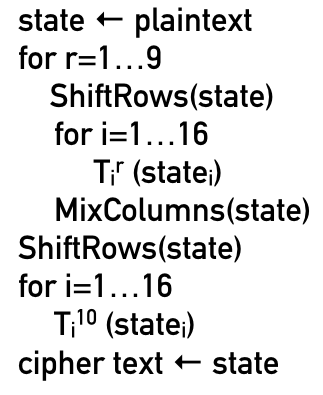 Note that state in MixColumns is multiplied in Rijndael's Galois Field, but normal multiplication. T-boxes + M-boxes (M_T-Boxes) can be composed as follows. 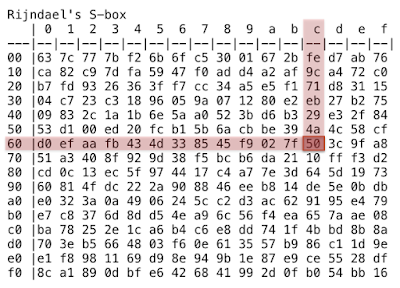 The M_T-Boxes in the binary are shown below. The T-box of round10 in the binary are shown below. To decrypt the encryptedFlag "g1UlZafiuGdCgpTkWYjaZg3kE6qCd7kF3kV+nMKcGHc=", you first need to recover the secretKey. 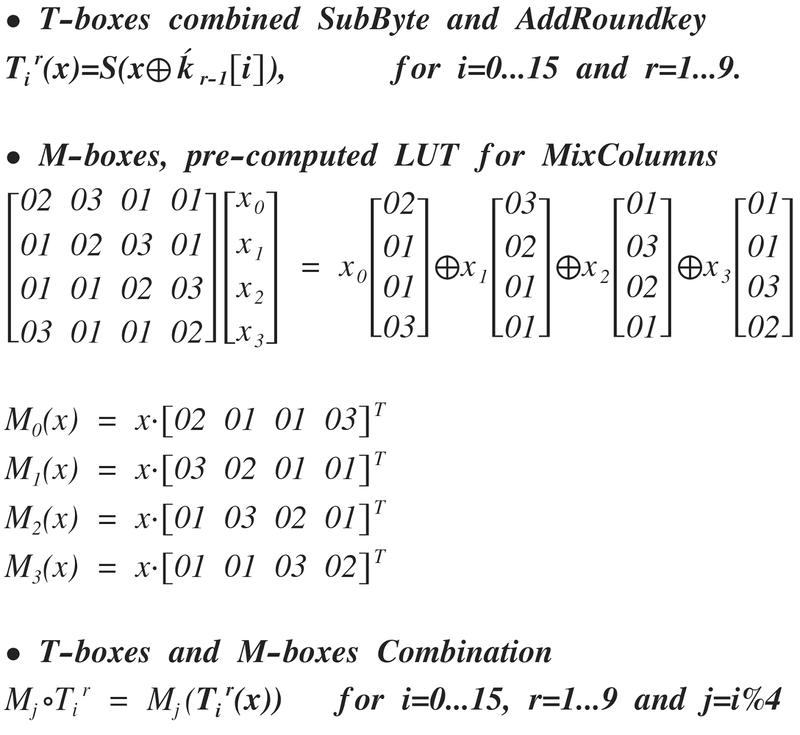 M-boxes, pre-computed MixColumns LUT is independent from the ḱ1...16. 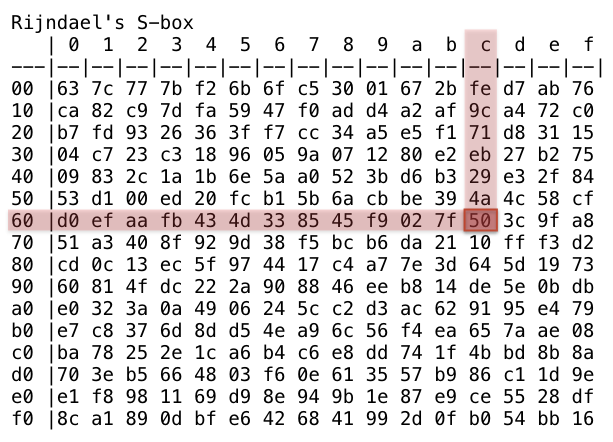 Therefore you can make M-boxes without ḱ1...16 information. 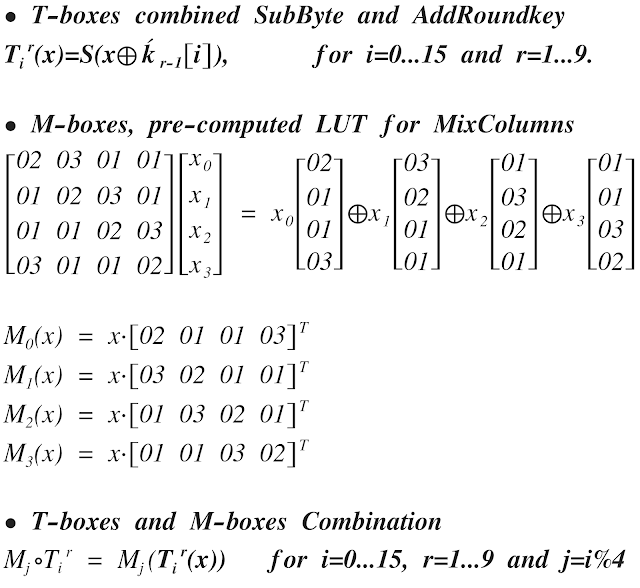 Since the Round1 LUT of M_T-boxes is depended on ḱ1...16, secretKey can also be recovered if T-boxes could be separated from M-T-boxes. As you can see in the formula below, if x is 0(M_T-boxes1...16), the ḱ1...16 itself becomes index. Therefore, the secretKey can be obtained by the following steps. Find the M_T-boxes of Round1. Create Sbox (0... 255) and use it as index. Get values from M-boxes [index]. Compare the M-boxes [index] and M_T-boxes [j]  of Step 4. If the two values are the same, the index becomes ḱ0[j]. Since ḱ0 is the result of ShiftRows of roundKey0(secretKey), we can obtain secretKey by un-ShiftRows. The exploit code is as follows.